The new Tax Cuts and Jobs Act contains the most extensive changes to the tax code in 30 years. Join LFG Tax Accountant Mark Sipos for a special edition of our WealthWATCH Education Series. 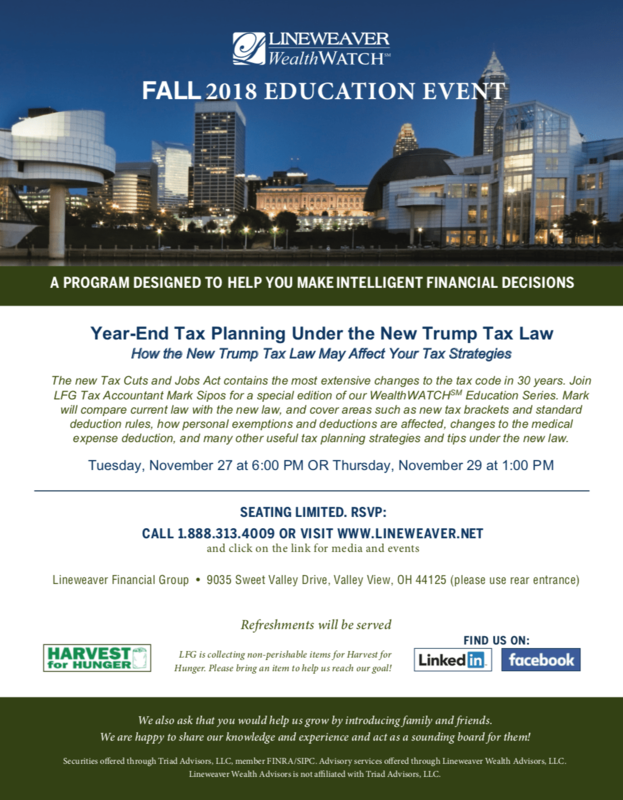 Mark will compare current law with the new law, and cover areas such as new tax brackets and standard deduction rules, how personal exemptions and deductions are affected, changes to the medical expense deduction, and many other useful tax planning strategies and tips under the new law. Sorry, this event is full! Thank you for your interest in our event.